Heather Turgeon, MFT, is a psychotherapist who writes about child development and parenting. She is a science writer for the National Sleep Foundation, and her work has appeared in The New York Times and The Washington Post. She and Julie Wright have a sleep consultation practice and class series based in Los Angeles and available to families all over the world. Julie Wright, MFT, is one of Los Angeles’s best known parenting group leaders and has taught thousands of moms in her popular Wright Mommy and Me program. Julie is a licensed psychotherapist working with infants, children, and adults, exploring attachment, mindfulness, parenting, and empathic communication. 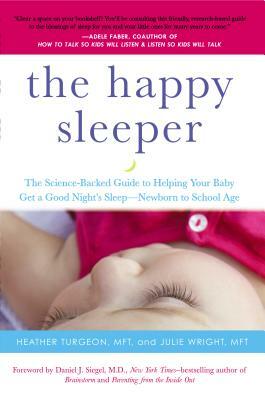 She and Heather conduct sleep consultations with parents in the LA area and remotely.